Published by Joshua Clare-Flagg on 28 Jan, 2013. 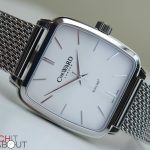 I had always wanted to try out Christopher Ward’s cheapest offering – the C5 quartz. 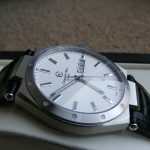 I never really liked the original 2-piece style dial, so when they released the galvanised dial version I was intrigued. 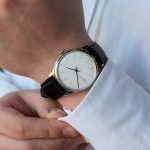 I felt needed to see what kind of quality a Swiss Made watch with 5 years warrantee would be like for just £165. I was very pleased when it arrived! The case is of 2-piece construction. It has a very slightly domed sapphire crystal, and has a single layer of anti-reflective coating on the underside. 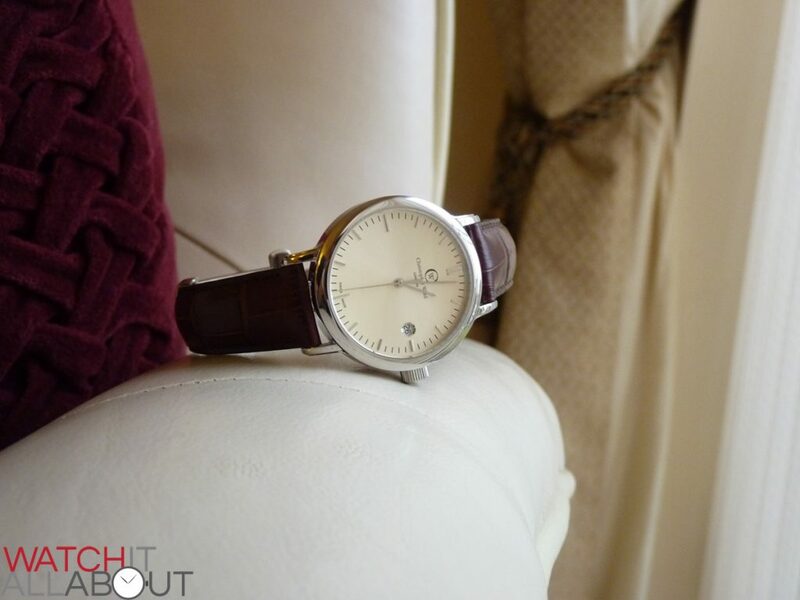 The top bezel is polished, and the actual “tube” of the case is brushed, giving it a nice mixture of finishes. The AR coating works reasonably well, reducing glare and reflections etc, but not well enough to stop the majority. For instance, you can still see many reflections with good detail. Obviously we cannot compare this to the AR on a Omega Planet Ocean for instance, due to the price, but just something that is worth noting. The crown is well machined, with good grip. It is a screw-in crown and has a deeply engraved CW logo on the end. Nothing special to report here, but still, a very good, high quality crown that easily unscrews. You can tell the high quality of the thread when you try to screw it back on. No chance of threading here! 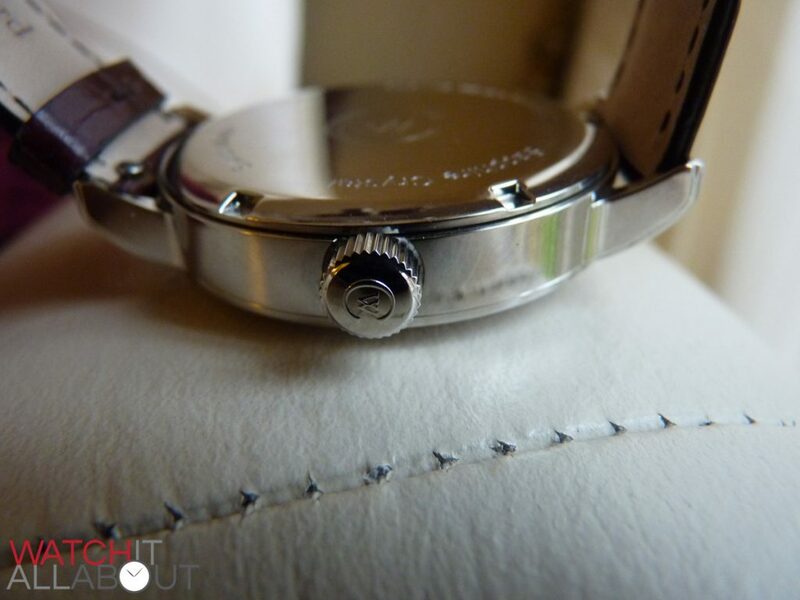 It has a solid caseback, no window here to show off the movement – as it has an ugly quartz movement so nothing to show! 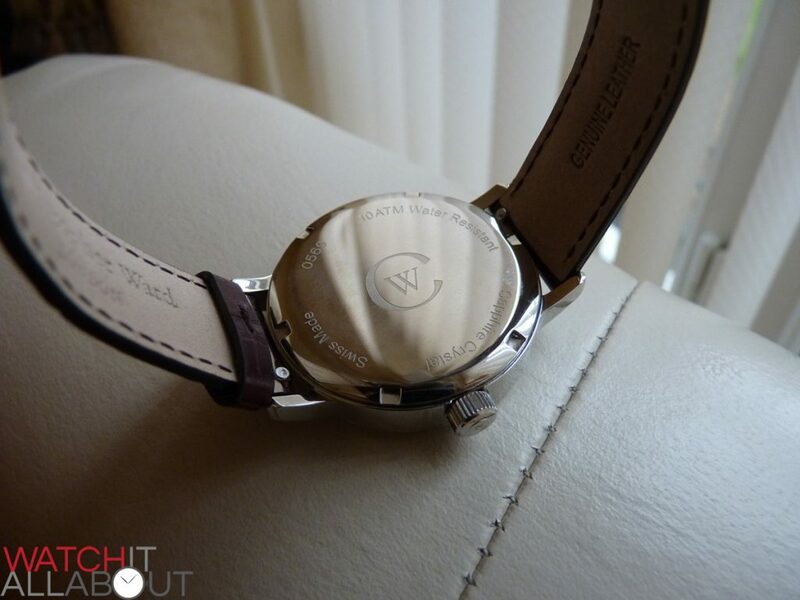 Still, they have done a good job with the caseback, it being polished steel with a deep engraving of the CW logo and the watch specifics. 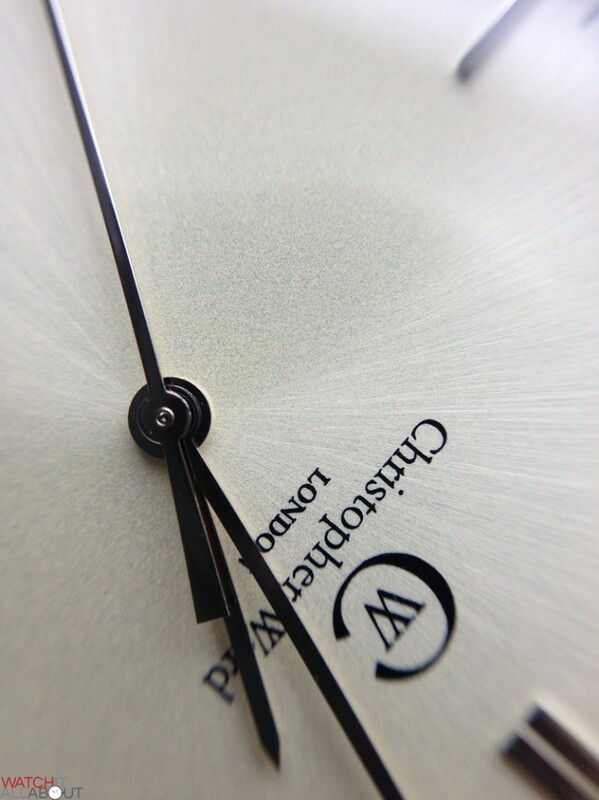 The dial on this beaut is what makes this watch truly stand out. 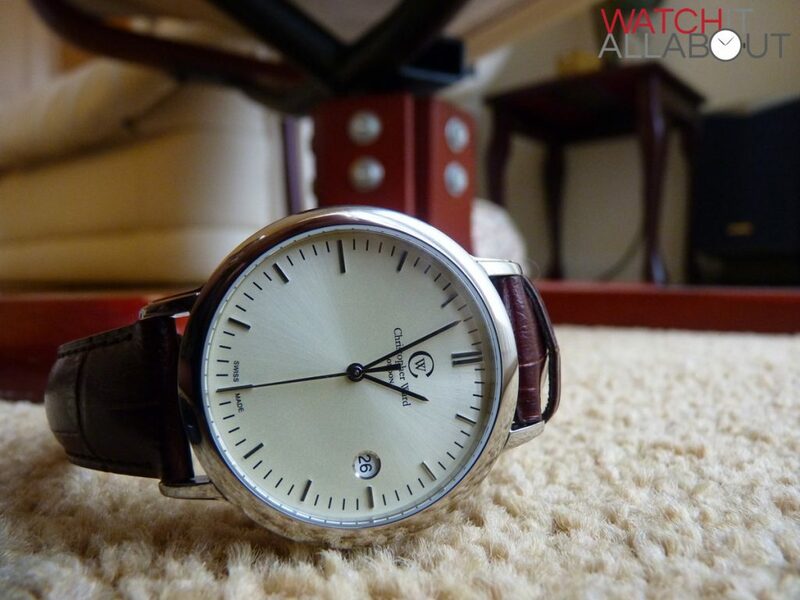 The galvanic dial is absolutely stunning. It really looks amazing when you catch the light on it. 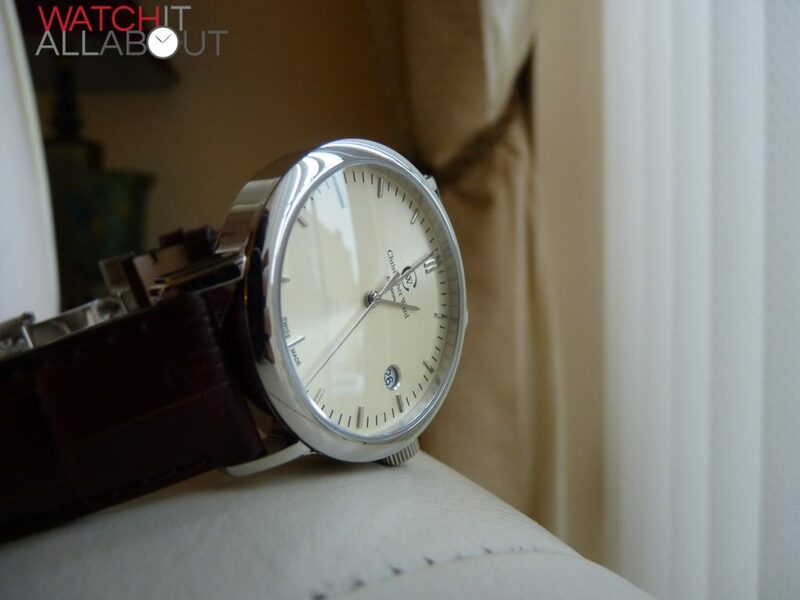 When you alter the viewing angle slightly, the reflection spins around the dial. Hard to explain I know, but it is really a fantastic dial. Much better than a normal matt black or white dial. 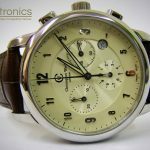 The galvanic dial is apparently more resistant to UV rays, therefore, will not fade like a normal dial would in the sunlight. 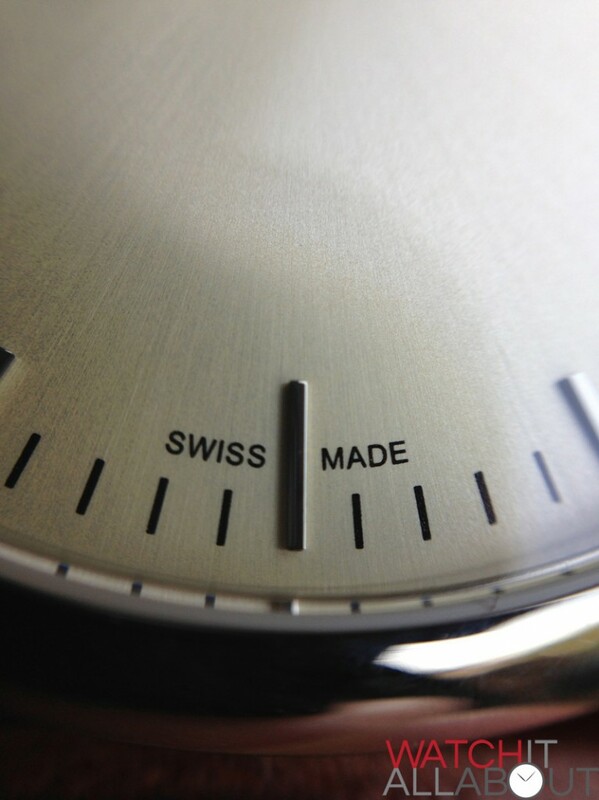 The logo and the “Swiss Made” text is black print. Simple, yet works well and looks great. 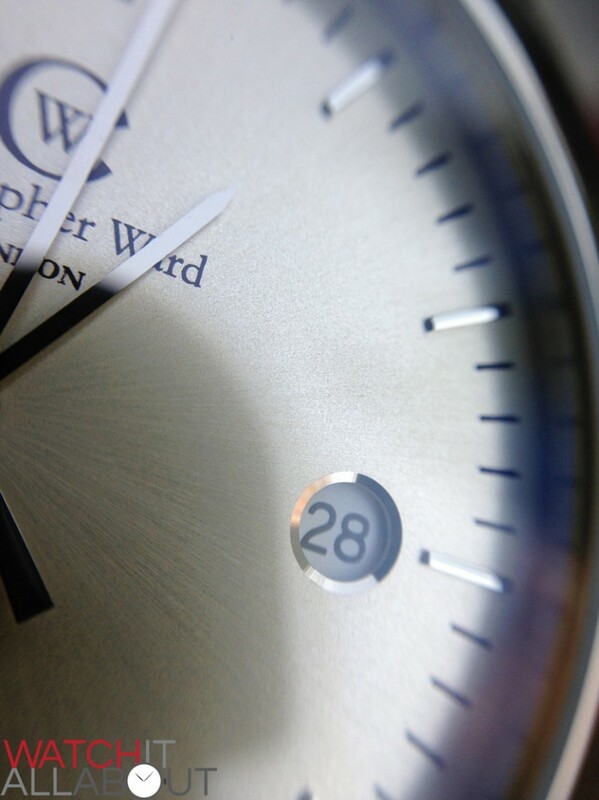 The date window has a polished ring around it, which again adds to the class of the watch. 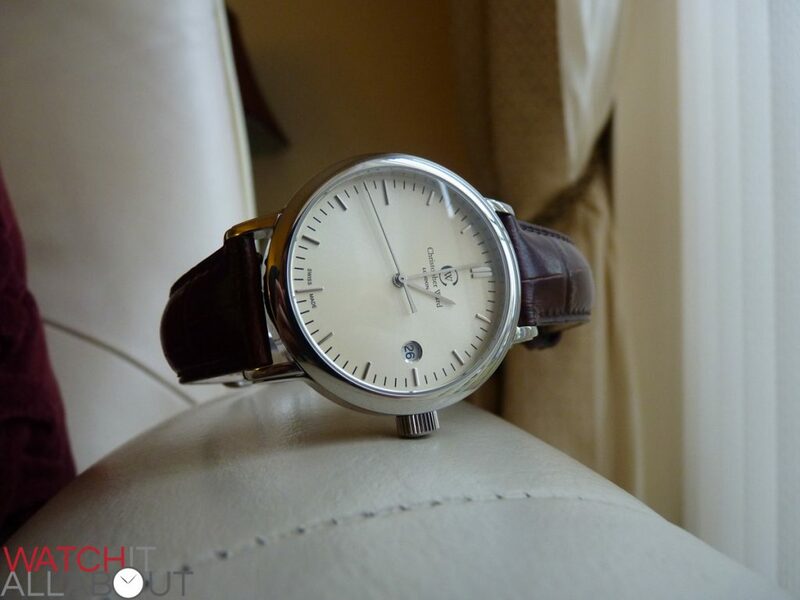 This is another little extra that really makes this a great watch for the price. The hands are simple polished steel. The hour and minute hands are straight up to a small point at the end, and the whole second hand is pointed. The baton hour markers are again polished steel. The markers at 3, 6 and 9 are longer than the others, and the marker at 12 is two batons parallel with one another. There are black minute markers all around the dial. 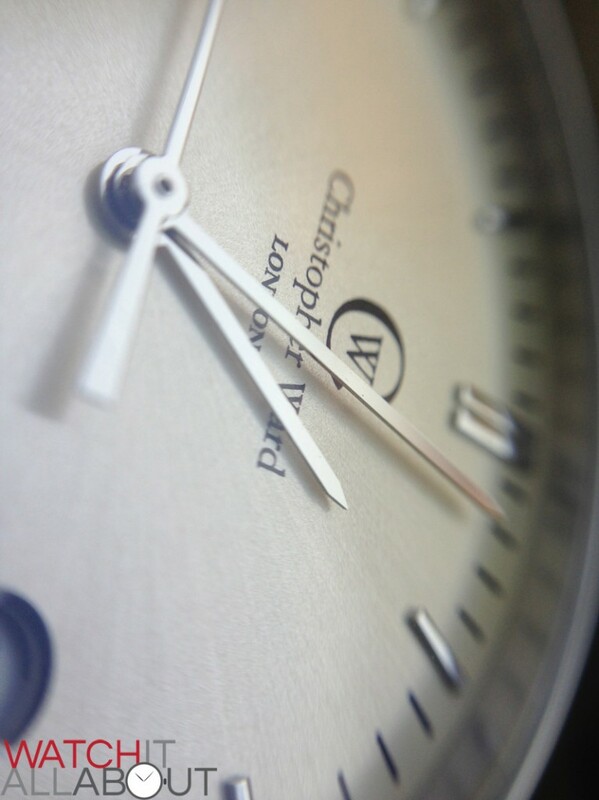 When you get the light right, seeing the hands, hour batons and date wheel surround shimmer and it just looks stunning. Looks so much more expensive than it actually is. I have heard a few people mention the they don’t like the way that the dial is unbalanced. 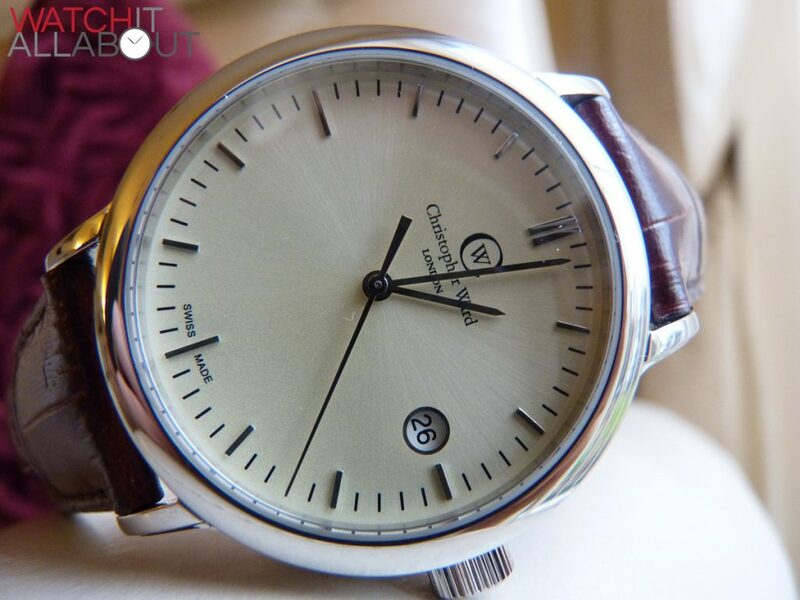 It has the logo in the top half, and nothing in the bottom half apart from the usual small “Swiss Made” text. 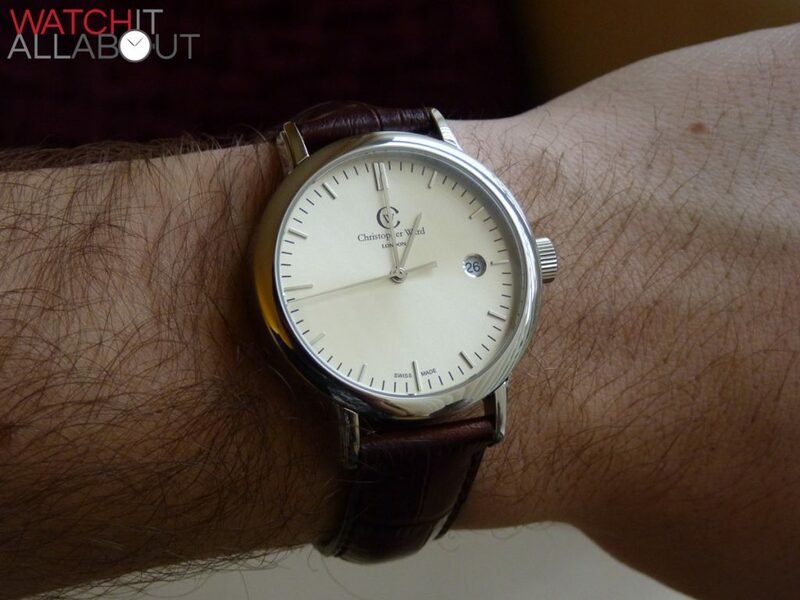 People say that it would be nice to have something there like the automatic version of this watch, which has, funnily enough, “Automatic” written there. I, however, disagree. I think it looks beautifully simple and well balanced without it. 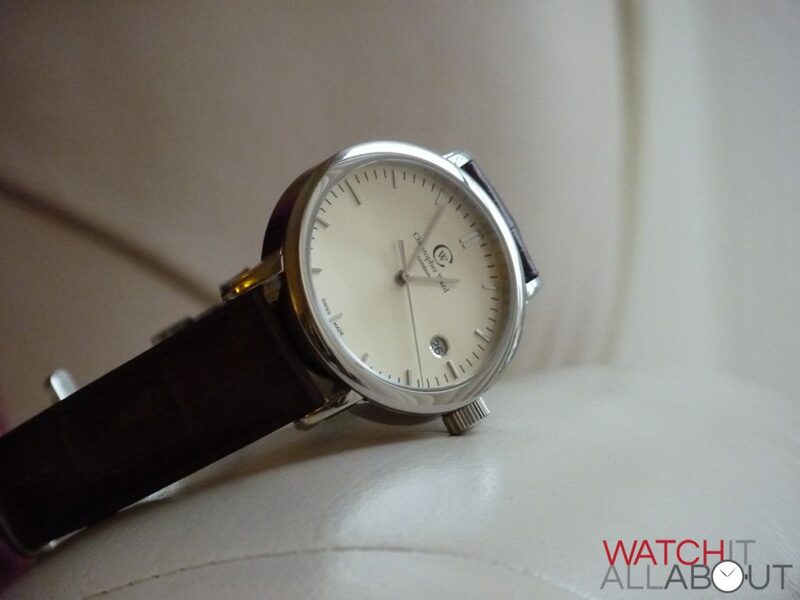 The C5 comes on the usual very nice supple leather strap from CW. It has a very comfortable underneath, and the leather is good quality, and is nice and thick. The quick release tabs on the strap is a very handy extra. These are little knobs on the underside of the strap, which are connected to the strap pins. All you do is pull the knob towards the centre of the strap which releases the strap. No tool necessary to swap it out! A great feature. 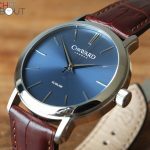 The strap of course is fitted with Christopher Ward’s usual well built butterfly clasp, which only shows the well machined and polished clasp when you are wearing it. It has the CW logo engraved deeply on it. Apparently, battery life is supposed to be 60 months, but if you find you are not using it, by simply pulling out the stem it goes into battery saving mode. Consumption is reduced by 70%. Apparently you can buy these movements for around $10. Accuracy is within a few seconds a month. 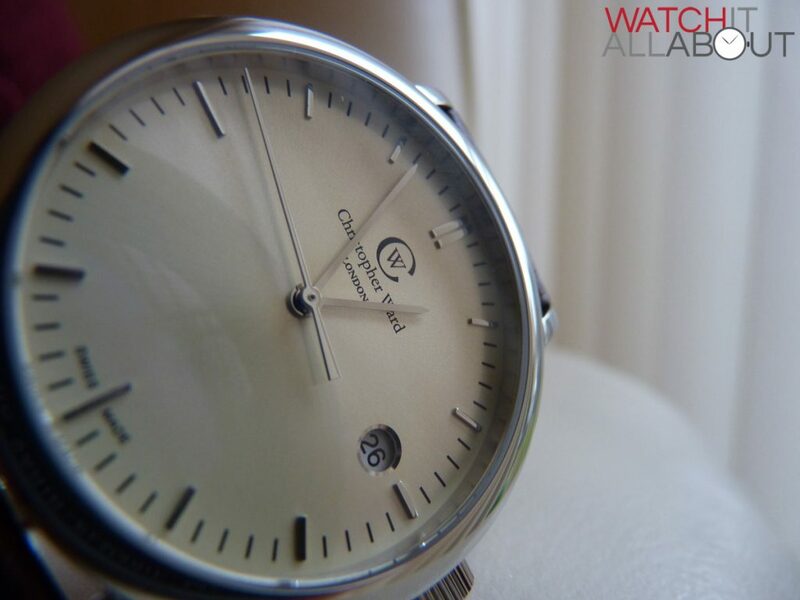 This is the cheapest watch Christopher Ward offer, but by no means is it lesser in terms of build quality or looks. I originally thought the 38mm case and 18mm strap would look a tad small and weedy as I was used to wearing bigger watches. 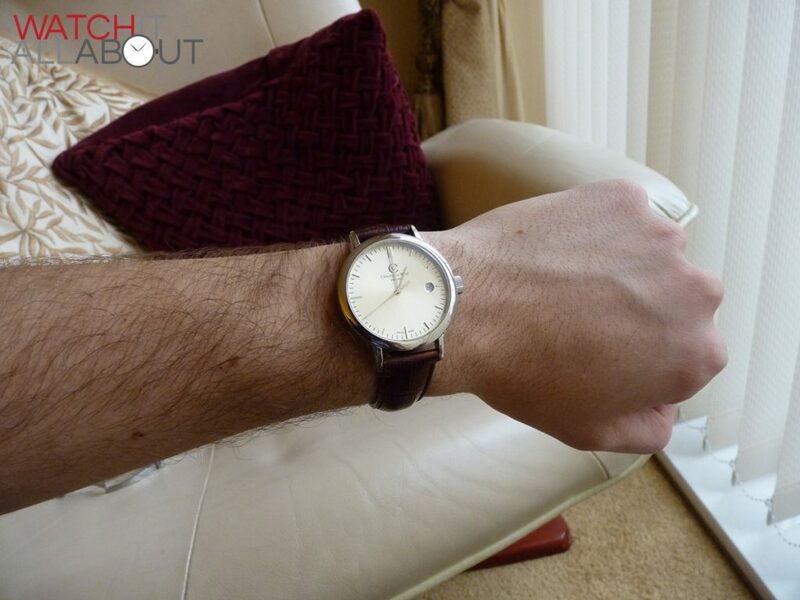 But I must say, for a dress watch, the size is just perfect. 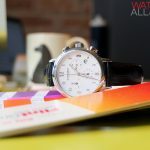 The fact that Christopher Ward give you a 5 year guarantee on this watch just wraps it all up. This simply kicks the similarly priced Swiss Made watches like Tissot etc out of the water. It truly is out there on it’s own for this price point. 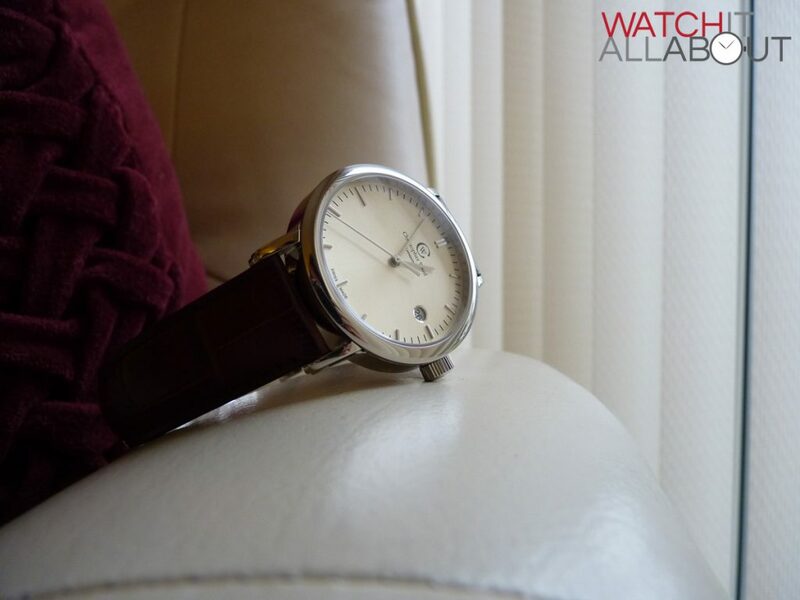 I would definitely recommend this watch, no doubt about it. I am extremely pleased with it. If you are considering it, just go for it! The dial is very hard to explain, but it really does look stunning.